Is it worth it to buy a diffuser? We say yes. Let’s explore how aromatherapy can change your life. As you’re aware, your sense of smell has a big impact. A fragrance can unlock memories, affect your mood, and reduce pain. Studies done with lavender essential oil found that it relieves depression and anxiety, and improves sleep, and lessens the pain of kidney stones and arthritis. Next, unlike disagreeable odors that make you uncomfortable, the aroma of ginger can make you feel less nauseated after surgery. And lemon can help dementia patients act less agitated. You can set the tone in your home with aromatherapy. For example, make your holidays more vibrant with matching scents. Plus, help yourself awaken in the morning and relax before bed. While it’s easy to experience these scents simply by opening a bottle and sniffing, a diffuser gives you more time to enjoy them. It also provides more coverage. You can spread the effects over a wide area with a diffuser for large rooms. On the other hand, you can use a small portable diffuser for enclosed spaces like your car or a hotel room. For cold and flu season, get an ultrasonic diffuser that humidifies the air while it fights germs. Eucalyptus is a traditional remedy for congested noses and chests. While aromatherapy doesn’t replace medication or medical attention, it can still improve the quality of your life. Diffusing essential oils let you customize your environment in a way that moving the furniture or repainting the walls will not. You can easily create new effects. To illustrate, the next time the kids are struggling to do their homework, diffuse the following oils. Put five drops of peppermint in your diffuser. Or if they don’t like the minty aroma, try sweet orange and sage instead. If nightmares are a problem, confront them with a blend of sandalwood, chamomile, bergamot, and lavender. You can add rose if you like that, too. When you’re due to have guests over, and you’ve been too busy to straighten up the house as much as you’d like, there’s an oil for that. Or rather, there are several. Lemon is a classic scent that freshens up the air. But you may find that cinnamon or geranium add just the right touch to the atmosphere. 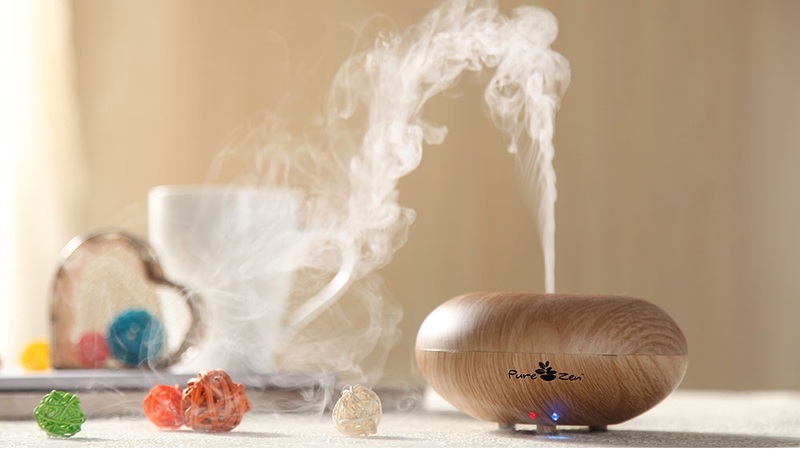 In conclusion, an essential oil diffuser gives you the power to solve problems in a way that nothing else can.